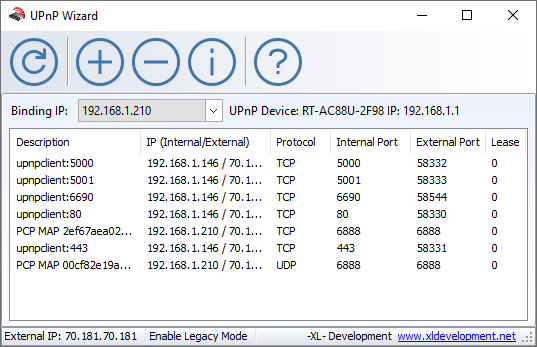 UPnP Wizard - A simple port mapping tool. UPnP Wizard allows you to manage all of the Universal Plug and Play (UPnP) port mappings on your router. You don't need to hassle with your router's port forwarding interface. 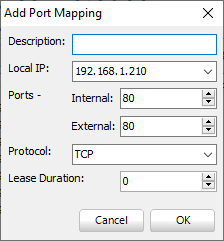 View detailed port mapping information from your router. 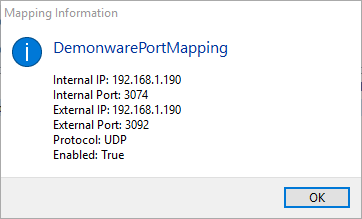 Create new port mappings with ease. 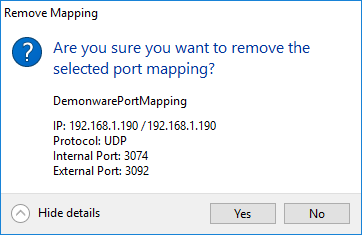 Remove existing port mappings with one button click. Works with most routers that support UPnP. Includes command line version for scripting and automation.